Tor Krueger has big plans for Udder Way Artisan Cheese Co., which sells handmade goat cheese in Stoney Creek, Ont. 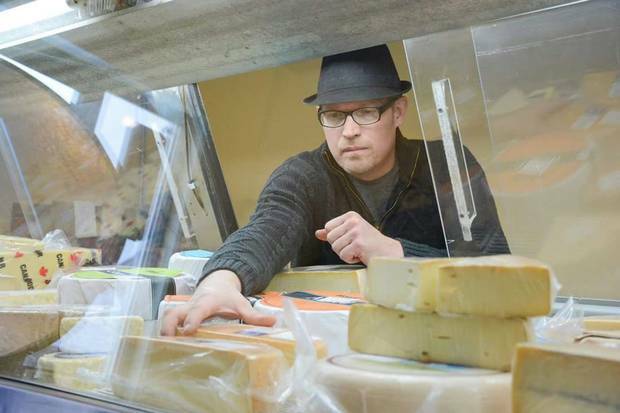 But crushing hydro bills are hurting the artisan cheese maker's plans to modernize his facility so he can get federal certification and sell his cheeses across the country. "After payroll, hydro is consistently one of my top three operating expenses," Mr. Krueger said. Hydro One charges him upward of $2,000 a month, and "I don't have any equipment in here that I would say is drawing a lot of power." Other small and medium-sized businesses (SMBs) in Ontario, such as restaurants Berkeley North of Hamilton and Fred's Not Here of Toronto, are struggling to pay their hefty hydro bills. "That right now is the No. 1 issue for our members," says Plamen Petkov of the Canadian Federation of Independent Business (CFIB), which has 42,000 members in Ontario. Tor Krueger of Udder Way Artisan Cheese Co., in Stoney Creek, Ont., is struggling with high electricity prices. Udder Way Artisan Cheese Co.
A crescendo of consumer anger prompted the provincial government to offer an eight-per-cent rebate on hydro bills for residential households and small businesses beginning Jan. 1. The discount will cost the treasury $1-billion a year and save the average household $130 a year. Premier Kathleen Wynne apologized last month for high electricity bills that have forced some residents to choose between paying for hydro, food or rent. The CFIB says hydro costs became a bigger issue for SMBs after mandatory smart meters were introduced six years ago, charging time-of-use prices. Unlike households, many SMBs open during regular business hours and have to pay peak rates for electricity that are more than twice as much as off-peak rates. According to the Ontario Energy Board, on-peak rates have climbed 81 per cent to 18 cents per kilowatt-hour since November, 2010, when the smart meter program began. Those rates also include the global adjustment for the province's energy conservation programs, which covers the difference between the market price of electricity and the guaranteed contract prices paid to electricity generators. In a 2015 report, Ontario's auditor general said the global adjustment cost consumers $37-billion from 2006 to 2014, and will cost another $133-billion from 2015 to 2032. The audit also concluded consumers will have to pay $9.2-billion more for renewable energy projects over the 20-year contract terms under the government's guaranteed-price renewable program for wind, solar and biomass than under the previous program. 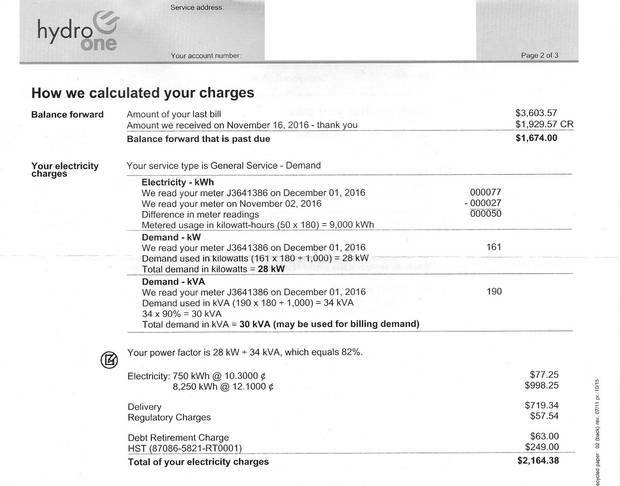 Other factors behind high hydro bills include the debt retirement charge for the remaining debt of the former Ontario Hydro, as well as the delivery charge for distribution and transmission of electricity. The delivery fee alone is nearly $720 a month for Udder Way Artisan Cheese, and $990 a month for Fred's Not Here steakhouse, representing one-third of the companies' hydro bills. Owners have tried all sorts of ways to conserve energy – and have had to make tough business decisions. 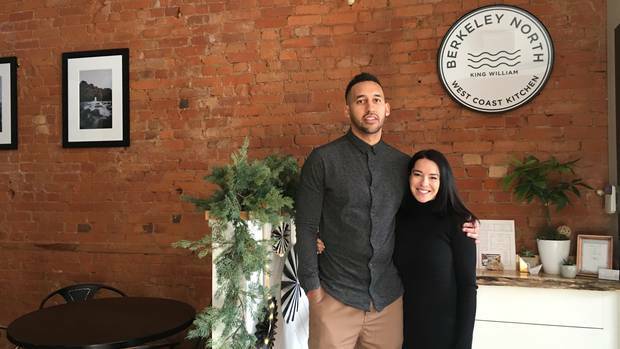 Matt Webber, who opened Berkeley North in Hamilton on Sept. 26, had budgeted $500 a month in his business plan for hydro. But his utility bill is more than twice as high even though he built his new restaurant with energy-efficient features such as induction cooking and LED lighting. "I'm not using anything that's old and I'm still dealing with prices like this," Mr. Webber said. "And at the same time I'm not open all day long." Mr. Webber has had to cut server shifts and adjust Berkeley North's menu prices to make up for the extra $500 a month he must pay for hydro. Fred's Not Here owner Fred Luk switched to energy-efficient lighting at his downtown Toronto restaurant. In business since 1988, he's taken other measures such as cutting back on refrigeration and turning off baseboard heaters when certain areas aren't being used. He still gets a monthly hydro bill ranging from $3,000 to $5,000. Fred Luk’s hydro bill for his restaurant range from $3,000 to $5,000 a month. Mr. Luk says by his own calculation his Toronto Hydro bill has increased more than 14 per cent a year since 2008. He compared prices for hydro in Quebec, where the electricity rate alone would be more than 50 per cent cheaper, which would reduce his annual costs by at least $13,000. "We're the ones getting socked with this high rate and a lot of us cannot survive," said Mr. Luk, who hasn't increased menu prices over concerns customers will choose to eat elsewhere. Ontario Energy Minister Glenn Thibeault was not available for comment. Ontario NDP energy critic Peter Tabuns says he doesn't think the 8-per-cent rebate will make a dent since electricity prices are forecast to rise over the next few years. "I could say without hesitation that the decrease will be eaten up by the increases in the next four years," he said. The CFIB has urged the energy minister to eliminate the time-of-use rates for small businesses and replace that with a lower rate for the first 3,000 kilowatt-hours of electricity.